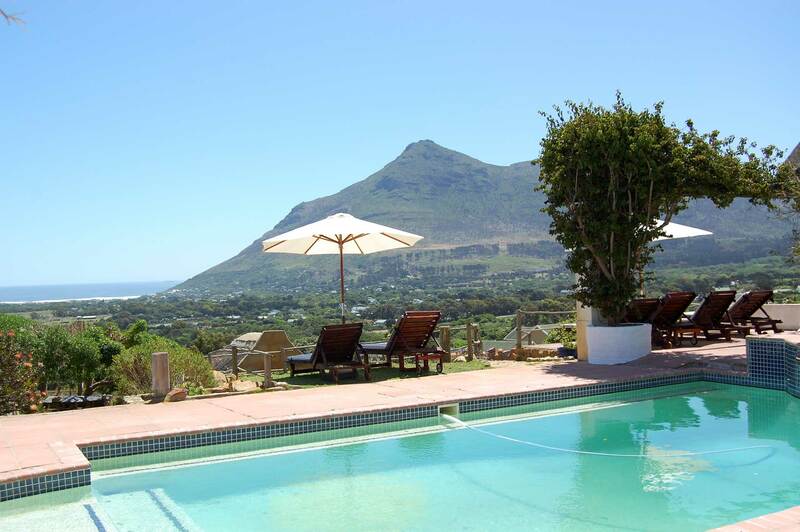 The Enchanted Garden Chalet and Cottage are situated on a two acre property in Noordhoek. 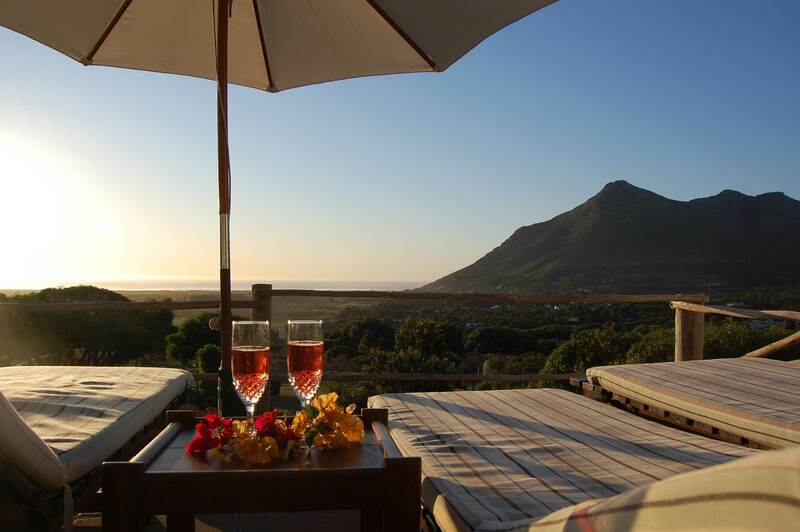 Noordhoek is Cape Town’s rural treasure. It is situated at the foot of Chapman's Peak, one of the most scenic drives in the world. 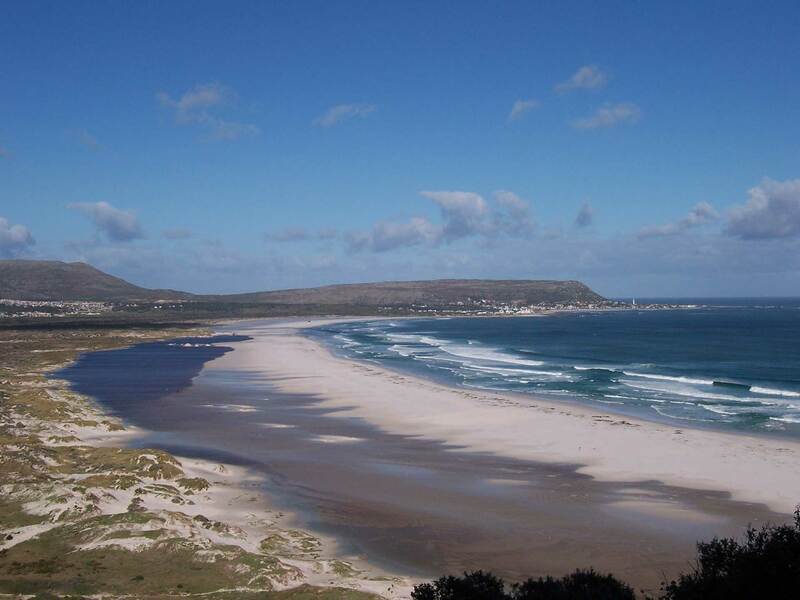 Noordhoek has a delightful village atmosphere; the ambience is tranquil and serene, with plenty of wide open spaces, a magnificent 7 kilometre stretch of unique beach and breathtaking scenery. 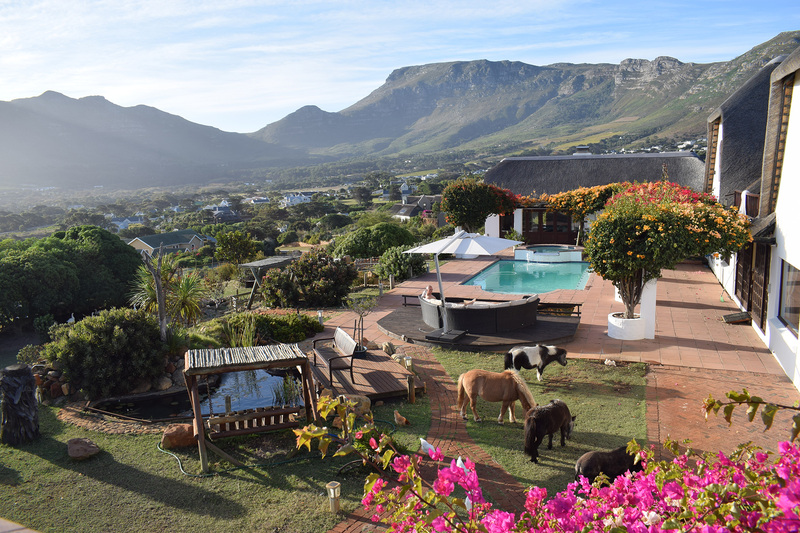 Despite its country atmosphere, Noordhoek has a lot to offer, including restaurants, a shopping mall, horse-riding, whale watching, hiking trails, surfing, bird-watching, wine tasting, plus nearby golf courses and a penguin colony. 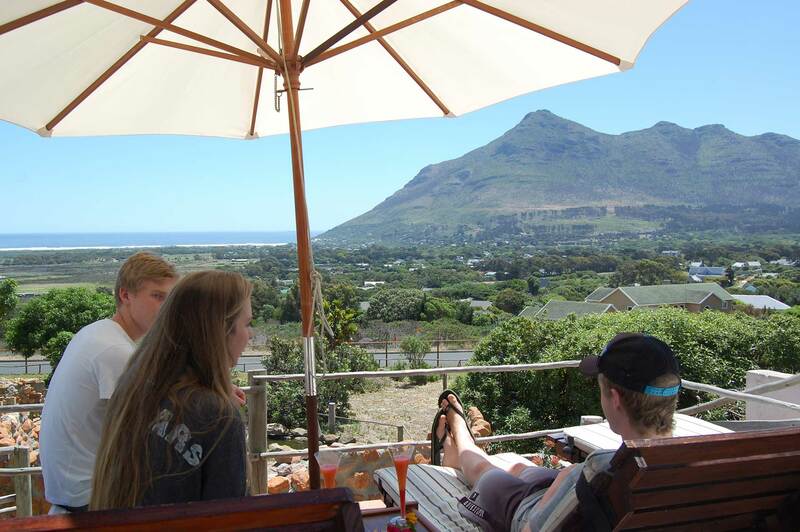 Your chalet and cottage borders on Table Mountain National Park. It is a common occurrence to observe fish eagles, hawks, jackal Buzzards, owls and mongoose. A variety of hens, geese, ducks and guinea fowl roam all over the property. You will also find yourself in the company of 4 miniature horses, 2 Daschunds and a pig called Penelope. There is a koi pond, as well as a large duck pond. 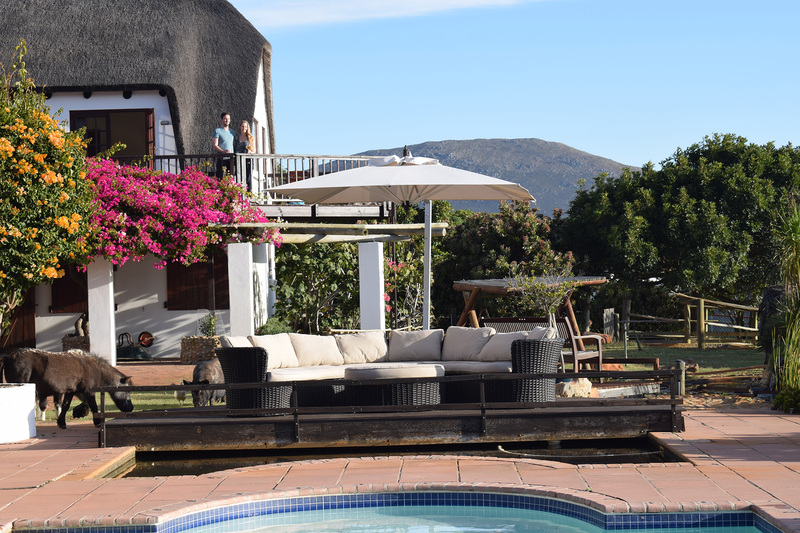 The property boasts an entirely indigenous garden incorporating a wide variety of protea species. Here you have a sensational sweeping view of the mountains, the valley and the sea. 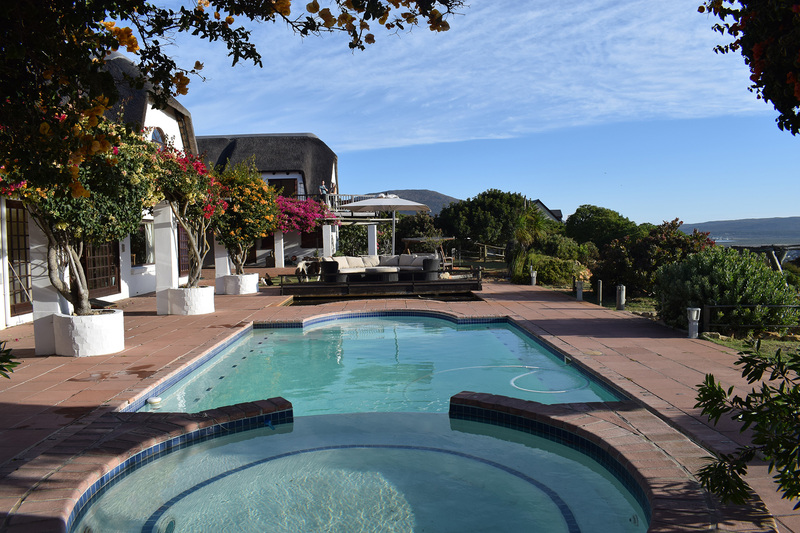 There are two swimming pools and an enclosed braai area for you to enjoy. You also have your own lock up garage. 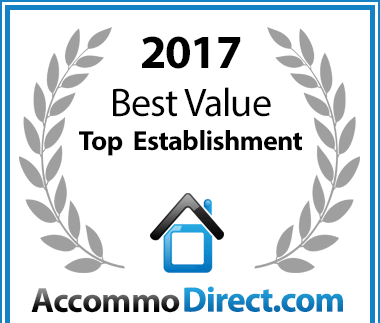 Enchanted Garden has won a Best Value Award for Self Catering Accommodation. 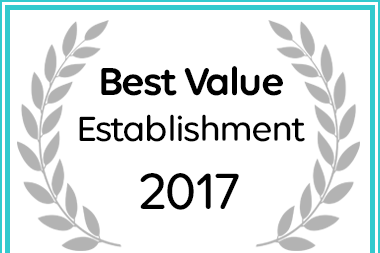 Enchanted Garden has been voted a Best Value establishment for Self Catering in Cape Town.